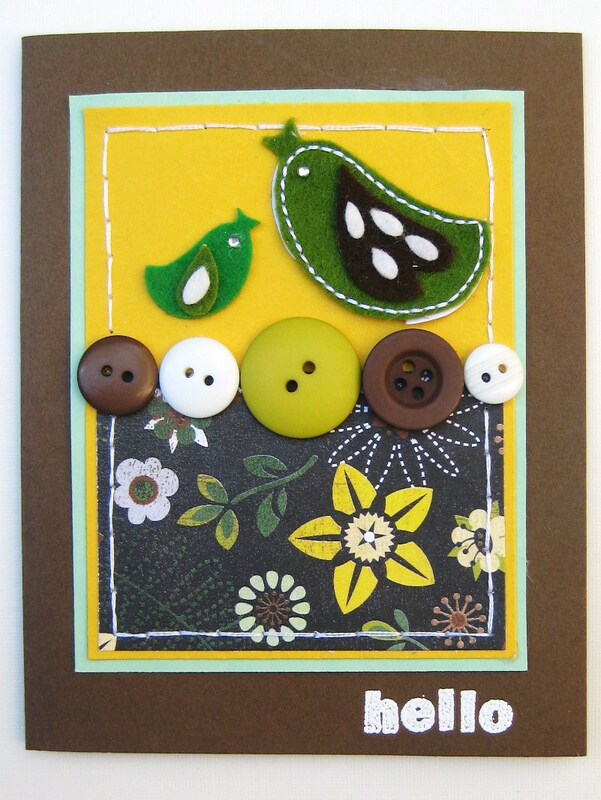 A full pack of Basic Grey Felties will be here on September 5th to greet you! Let’s get busy crafting, shall we? Each unique card has been created with the warmth of a September evening in mind. 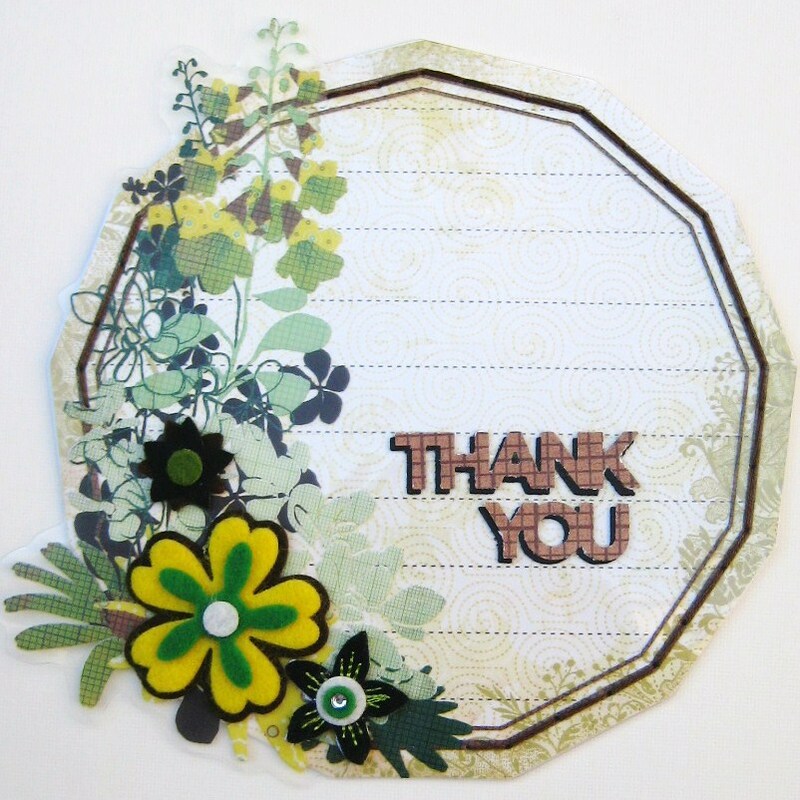 I love making cards into one-of-a-kind shapes, so we’ll be making one of the greetings into a purse and another one into an octagon with hand-stitched elements! 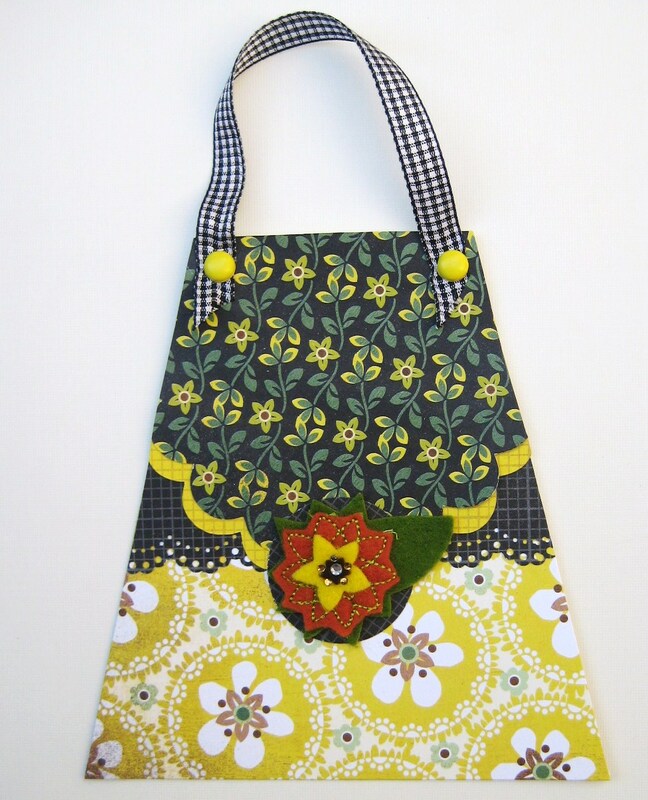 Cost of the class is $25 and includes all the materials needed (please bring the basics: scissors, a strong adhesive (such as Zip Dry) and a needle for sewing). to reserve your seat ~ space is VERY limited! When you call to reserve the class, just mention that you’d like the kit only and I’ll be sure to have it ready for you (along with pictures and detailed instructions for your convenience). Just pick it up and scrap at your leisure!! 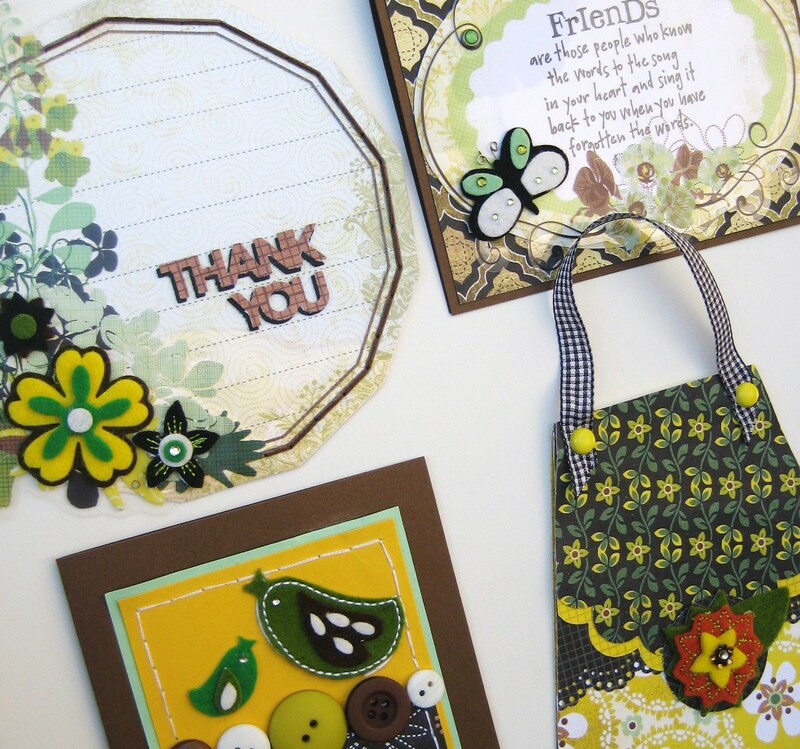 I’ve got another card class open and ready for sign ups at Scrappin’ Time! Seas the day with these beach-inspired greetings! 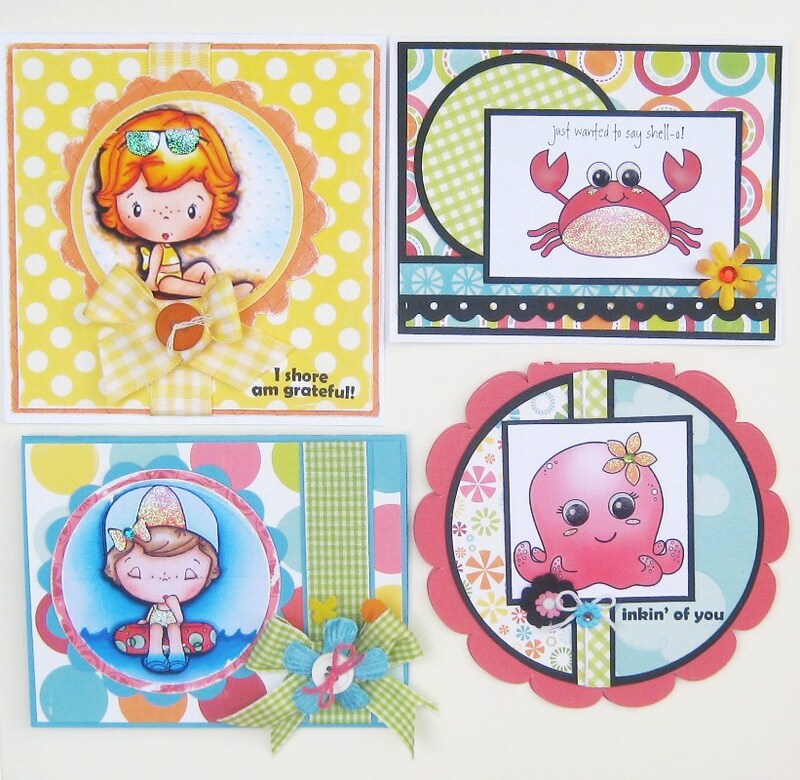 Each adorable card has been embellished with colorful summer card stock. For your convenience, the main images will be colored and cut. We’ll be adding Stickles, Diamond Glaze and rhinestones to embellish these cuties! Hope to see you there ~ we’ll have a fin-tastic time! 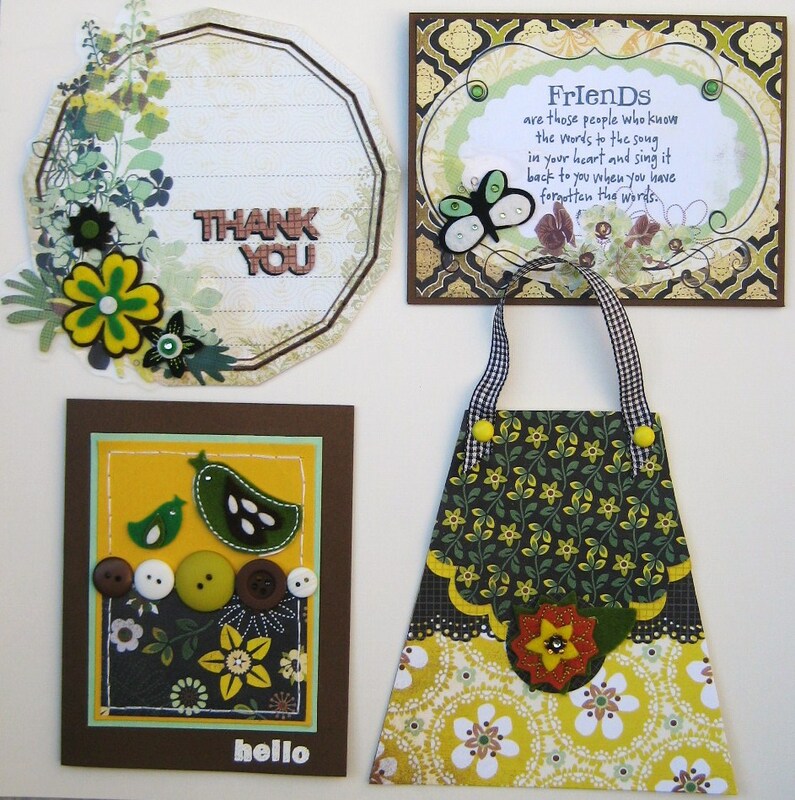 Please join me on Sunday, August 8 from 1-3pm and make a set for yourself! Cost of the class is $25 and includes all the materials needed (please bring the basics: scissors, a strong adhesive (such as Zip Dry), pop-dots and a file). to reserve your seat ~ space is limited! 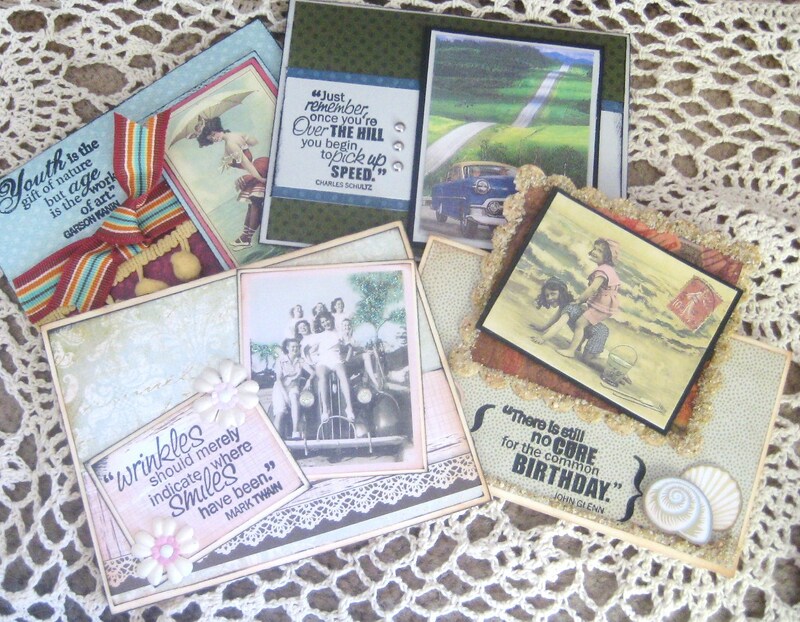 Funny Birthday Card Class Now Open for Sign-Ups at Scrappin’ Time! 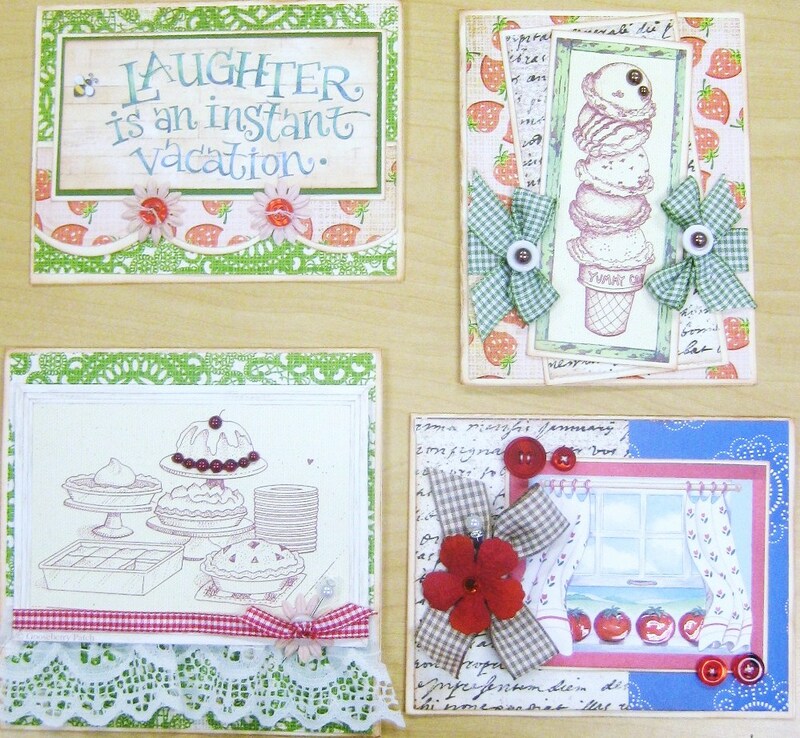 I’m excited to announce that my 2nd card class at Scrappin’ Time is now open for registration! This class is all about making someone smile (or even laugh) on their birthday. Laughter is the best gift you can give, right? 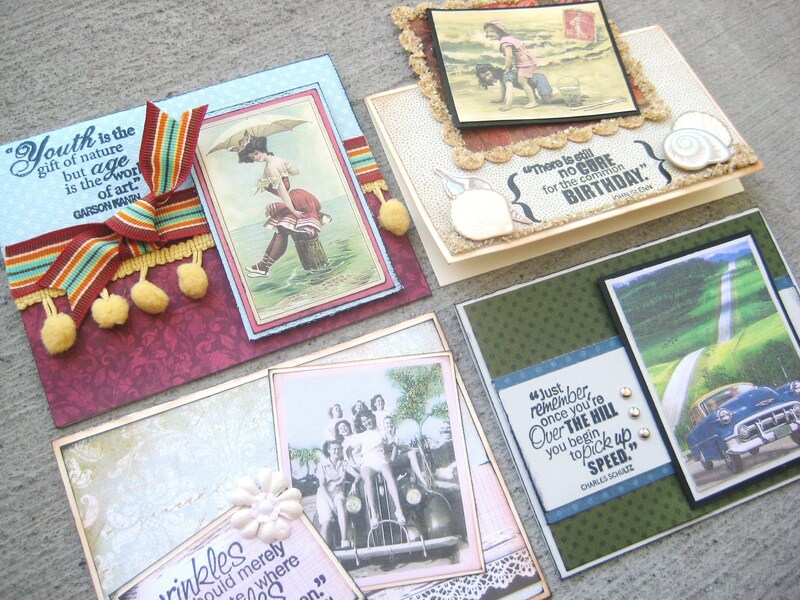 I used lots of great Vintage images on this collection, and embellished each with unique touches ~ pom poms, ribbon, brads and even beach sand! Please join me on Saturday, July 24th from 11am-2pm and make a set for yourself! 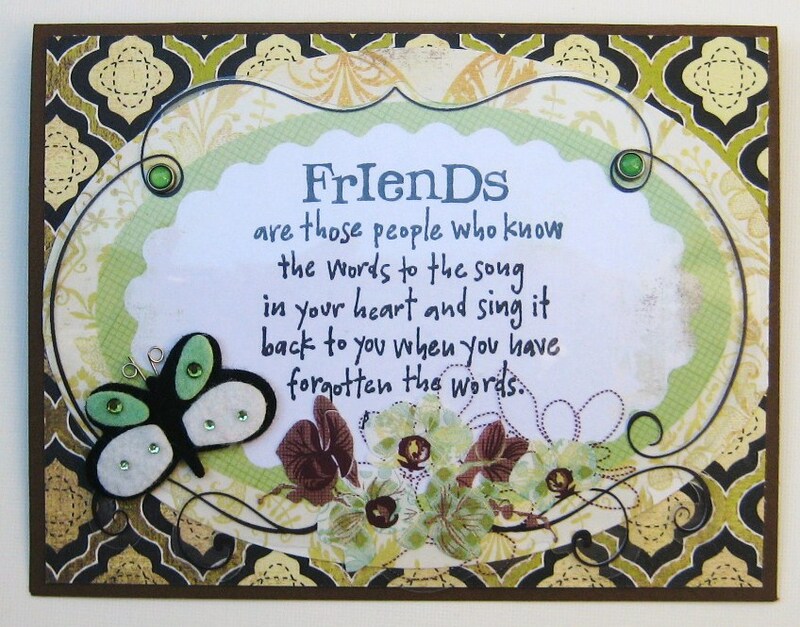 Cost of the class is $25 and includes all the materials needed (please bring the basics: scissors, brown ink, black ink, 3D adhesive and glue). Well, I’m excited to say that my very first card class is ready to rock! I’m the newest instructor at Scrappin’ Time in Las Vegas ~ whoo-hoo ~ and am going to be teaching two different card classes a month. 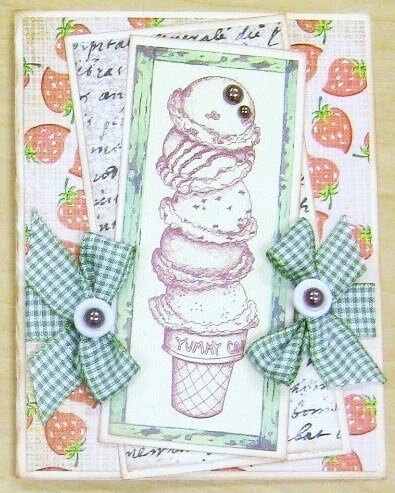 This is my first one, which I lovingly call Vintage Summer Cards. 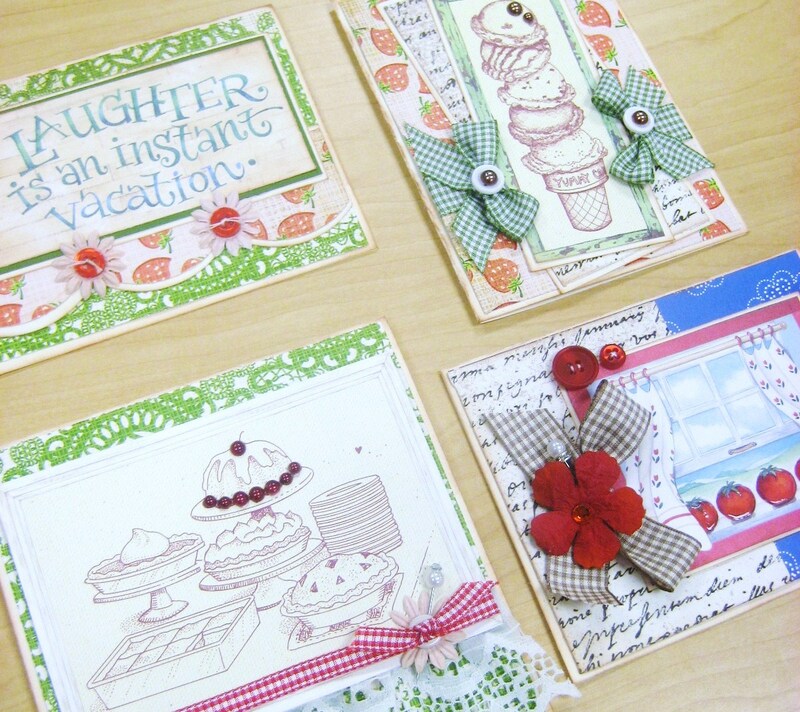 All four of these warm and cozy greetings can work for any occasion ~ birthdays, pick-me-ups or just to say “hi”. 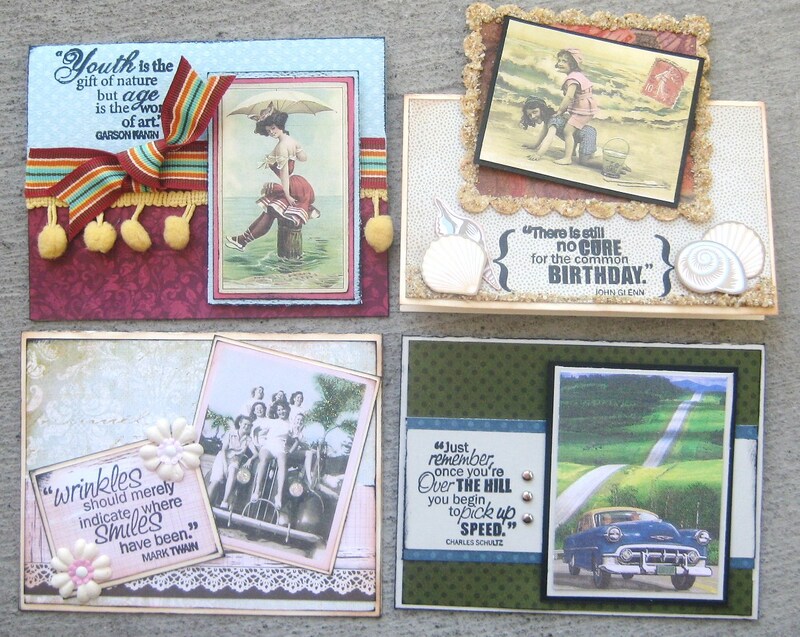 I used lots of great Vintage-inspired elements from soft brown ink to lace and pearls. Please join me on Saturday, July 10th from 11am-2pm and make a set for yourself! Cost of the class is $25 and includes all the materials needed (please bring your own scissors and glue).